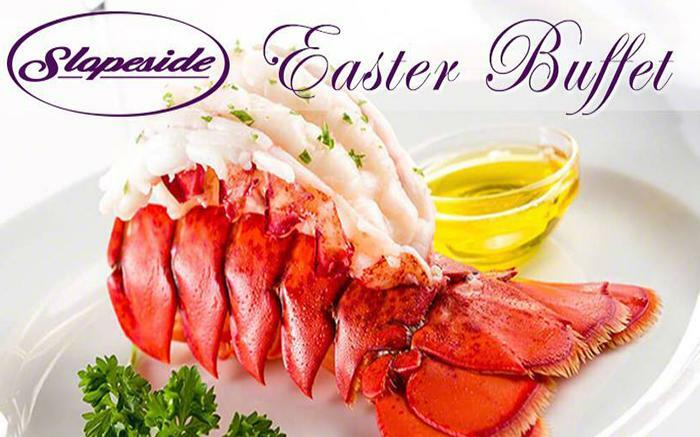 Celebrate Easter with a breathtaking view at Seven Springs Mountain Resort, where you can enjoy a fabulous holiday brunch created by our culinary team in the Slopeside. In addition to our traditional Easter fare, the Slopeside Easter Buffet also features an expanded seafood selection including Maine lobster tails and oysters, your choice of mimosa or sparkling cider and Executive Pastry Chef Rachel’s specialty Easter creations. Gather your loved ones and create a new memory this Easter at Seven Springs! The Easter Bunny will be making an appearance in the Center Lobby, near Timbers, from 11 a.m. 2 p.m. Parents, don't forget your camera! Reservations are recommended. Please call 866-437-1300 or 814-352-7777, ext. 6000 between 8 a.m. and 9 p.m.